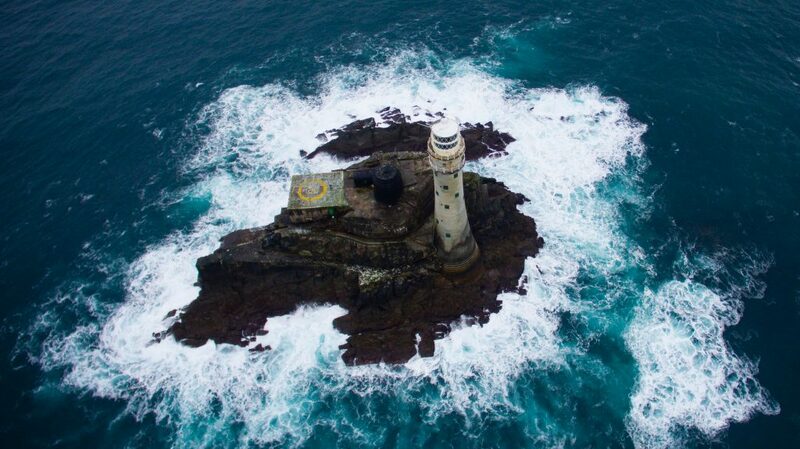 Experimentally identify structural characteristics (modal testing) of six vulnerable rock lighthouses to find the structure with the most problematic behaviour. Such extreme tests have never been attempted and will require specially developed instrumentation and procedures. Monitor, and process continuously, structural response of one rock lighthouse over an extended period. A reliable autonomous system that incorporates developed numerical models and condenses data to information on both load and response will be a research first, on- or offshore. Develop structural models, based on detailed construction information and calibrated through the dynamic testing campaigns and hydrodynamic modelling, to determine the response of keyed-in block masonry structures to impact loading. This is entirely novel. Extend physical and Computational Fluid Dynamics modelling of wave interactions with cylinders to investigate worst-case hydrodynamic loading, the connection between wave loading and the dynamic response being little understood. Formulate for the first time guidance on the technologies and procedures for structural condition assessment and management of rock lighthouses. To tackle such a problem requires a unique combination of skills available from three UK universities: Plymouth University, the University of Exeter and UCL. The 3.5 year project commenced in May 2016 and is being funded by the UK Engineering and Physical Sciences Research Council. It is working closely with the UK General Lighthouse Authorities (Trinity House, the Commissioners of Irish Lights and the Northern Lighthouse Board) and other industry partners (AECOM, HR Wallingford, Atkins and the Environment Agency).